The Office of Institutional Effectiveness and Analysis provides accurate, relevant, and timely information for use by the university community and external constituencies. 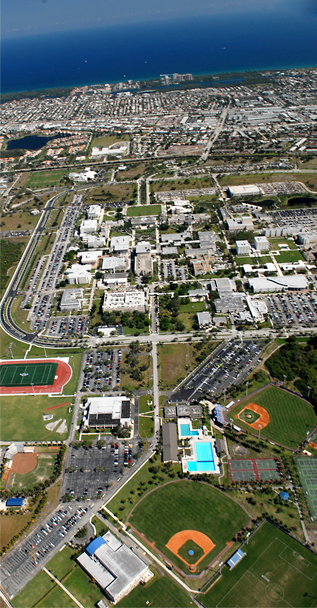 The Office of Institutional Effectiveness & Analysis (IEA) collects and analyzes data and disseminates results; provides accurate and timely data and information in support of administrative decision making, planning and policy analysis to internal and external constituencies; conducts studies on issues of significance to the FAU community, and directs university processes for determining and documenting institutional effectiveness in academic departments and academic support units. Provide historical or current data about FAU's students, programs, personnel, and resources, in response to internal and external requests. Complete surveys and questionnaires as requested by external agencies. Publish as annual "Quick Facts" brochure. Provide a website including a Fact Book, interactive reporting tools, departmental dashboard indicators, and other official statistical data and research reports. Build and maintain institutional databases to meet the ongoing data needs of the University. Coordinate the reporting of official data to the Florida Department of Education, Federal agencies, and other organizations. Coordinate the reporting of academic activity and workload productivity. Design and administer survey instruments, manage data collection, and analyze, interpret and disseminate results. Conduct special studies as requests by University committees or administrators. Assist academic departments and academic support units in assessing, reporting and improving the effectiveness of their programs and activities. Support teaching improvement through sponsorship of faculty workshops. Regularly evaluate and document IEA's effectiveness and use findings for improvement. Contribute professionally by attending conferences, making presentations, publishing papers, and holding office.